Your premier builder of Portable Buildings. Benton, Carterville or Du Quoin! Established in 1989, K&K Portable Storage Buildings has been one of Southern Illinois’ premiere manufacturers of portable sheds! We pride ourselves on our workmanship and the quality of our portable buildings. If you have questions or need a quote on a custom building, give us a call or shoot us an email! Our expert team will work with you to build the shed you need at the price you can afford. Read more on our about us page or contact us today to get started! Our Portable Buildings use industry-best quality materials inside & out, top to bottom! Buy Here/Pay Here and Rent-to-Own options make getting a portable building easy! We have faith in our Portable Buildings & materials we stand behind our products! Check back often for posts about new products, local events, special sales and more! Here at K&K Portable Buildings in Southern Illinois, we have a wide range of options! Whether you need a place to park your vehicles or equipment, store your stuff, protect your animals, or just about anything else, we’ve got a portable building for you! Additionally, we have building options that can be used as livable cabins or “tiny homes,” or even a playhouse for the kids! We also have two new additions to the K&K family of products: PlayMor Playsets and Adirondack chairs—both would make great additions to your backyard paradise! Of course, if you don’t see what you’re looking for in our established styles, contact us! We can talk about your needs and come up with a custom building, designed to fit your specs for your specific needs. We have seven distinct cabin designs in various sizes. If you’re looking for a great hunting cabin or lake-side HQ for your favorite fishing hole, these cabins are where you need to start! Tons of features, quality buildings, incredible value! Choose from 2 models of our garage style buildings in various sizes to meet all of your extra heavy-duty needs. This style gives you the most bang for your buck with a full loft which doubles your space, complete with an operational loft door. This style can start as a small child’s play area, but is large enough that it can double as a storage area in the future. This style is for those who want a step above the rest, with it’s deluxe features. This is for the person looking for economical floor space, without a higher cost. This style doubles up as storage with shelving space, or can be used as a workshop. This is where K&K shines above the rest. We can customize a building to match your dreams. This is the perfect structure to keep your flock of poultry in. With nesting boxes and roosts, this will help fill the needs of your flock. Keep the kids outside all summer with a fun new playset with swings, slides, and more! We now have a wide array of poly Adirondack style chairs available! Perfect to relax and watch your kids enjoy their new playset! At K&K Storage Barns LLC, taking pride in what we do is effortless, because we build quality products that last a lifetime. We take your budget into consideration in every project and do our best to get the results you want at an affordable rate. K&K Portable Buildings—Southern Illinois’ first choice for storage barns, simple cabins, sheds, hunting blinds and more! Serving the southern Illinois communities of Benton, Carterville, Du Quoin, Ewing, Carbondale, Marion, Harrisburg, Vienna, Johnston City, West Frankfurt, Lake of Egypt, Herrin, Mount Vernon, McLeansboro, Nashville and more! 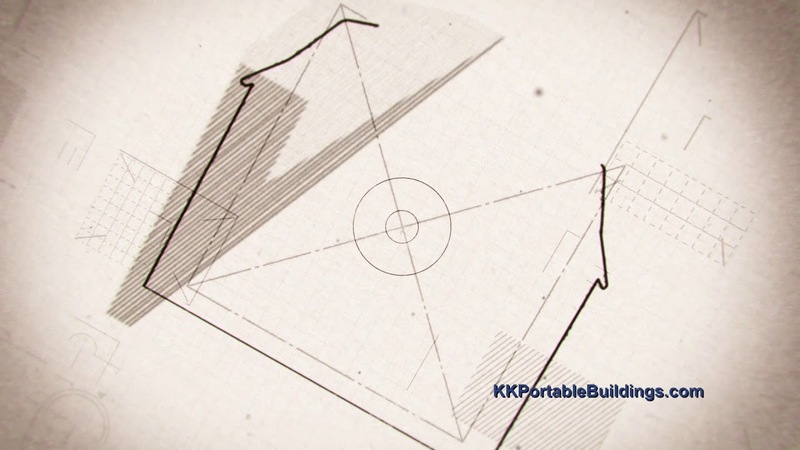 Welcome to K&K Portable Buildings! Contact us today and get ready for Spring and Summer with a new building to store your mower and other tools and equipment!